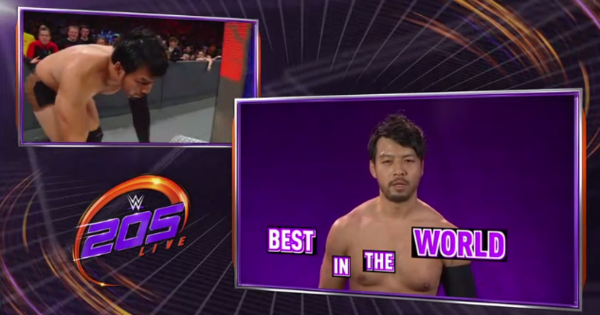 Well, after losing to Roderick Strong in his first round match of the 205 Live Cruiserweight Championship Tournament, Itami took to social media to throw petrol on the ever-burning rumour that he may be on his way out. While Itami’s loss to Roderick Strong doesn’t mean the end per se, it does mean no 205 Live appearances for a while as the new format of the show sees two round one matches each week, which will most likely stay as the format as the tournament progresses. Itami had been hyped as a “205 Live Superstar” so it looks like any appearances on NXT may be unlikely at this stage too. If last night was his last match, what a way to go out. The injuries may have put WWE off from ever going all-in with Itami, and you never know what the Superstar feels, so a return to Japan may be just what’s needed for the man formerly known as KENTA, and he’ll no doubt return as a huge star.